Athos - Agion Oros. 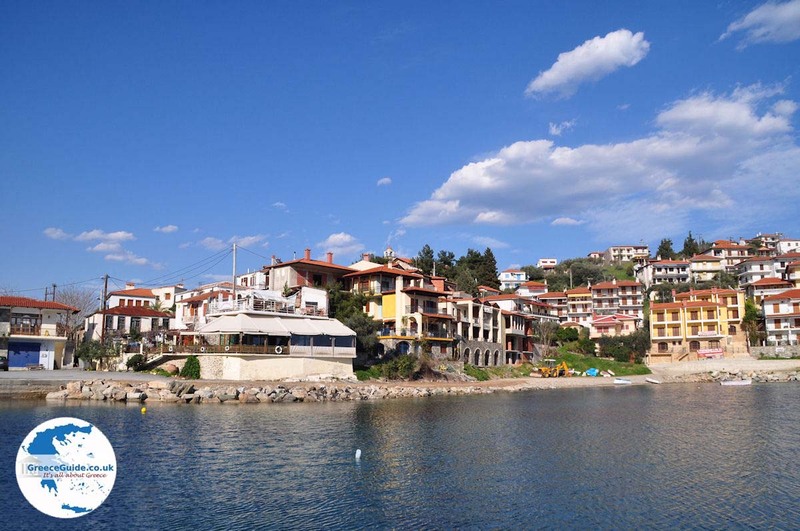 Athos is the name of the peninsula in the eastern part of Halkidiki. 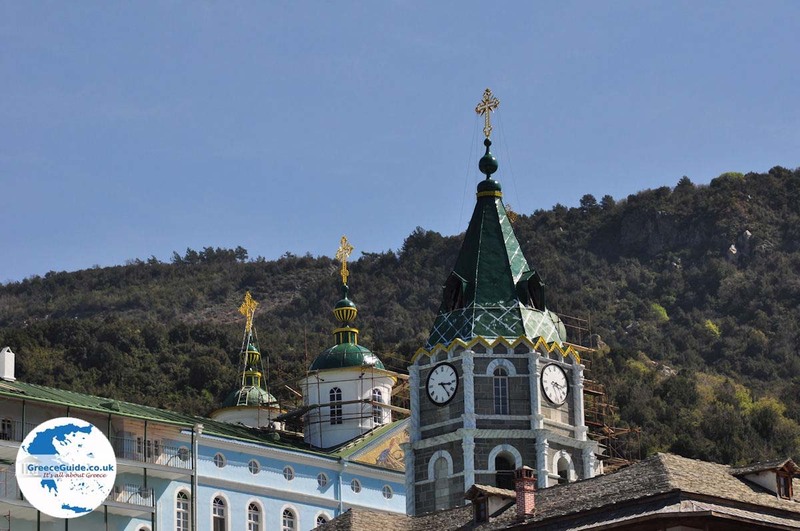 Greeks and other Orthodox believers often call Mount Athos the Holy Mountain. It has an autonomous status, and is officially named the Autonomous Monastic State of the Holy Mountain. Athos is accessible only by men, and after the application for a permit based on religious goals, interests or anthropological study. In Athos is the oldest church of Protatos (10th century) with murals of Manuel Panselinos, the last great icon painter of the Macedonian school. 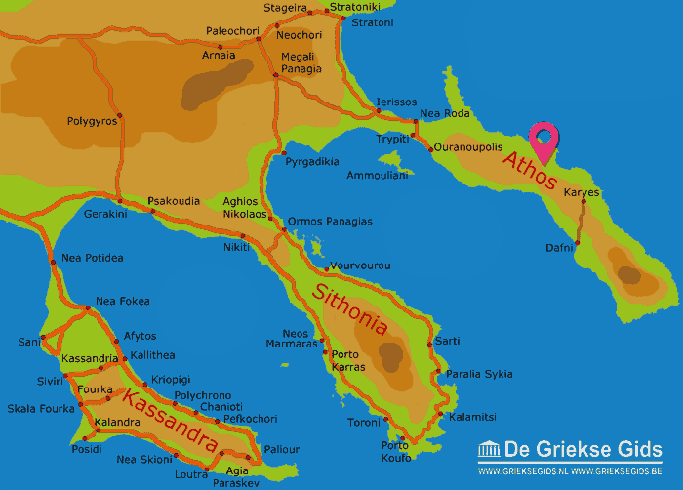 Athos is also the region (Mount Athos region). This is the eastern part of the Greek district Halkidiki. It is the third "leg" of Halkidiki, and known for its autonomous monastic state first settled here in the 10th century. Athos is actually the name of the peninsula, while the mountain itself is located in the south of the peninsula. The state is located southeast of Ouranoupolis. 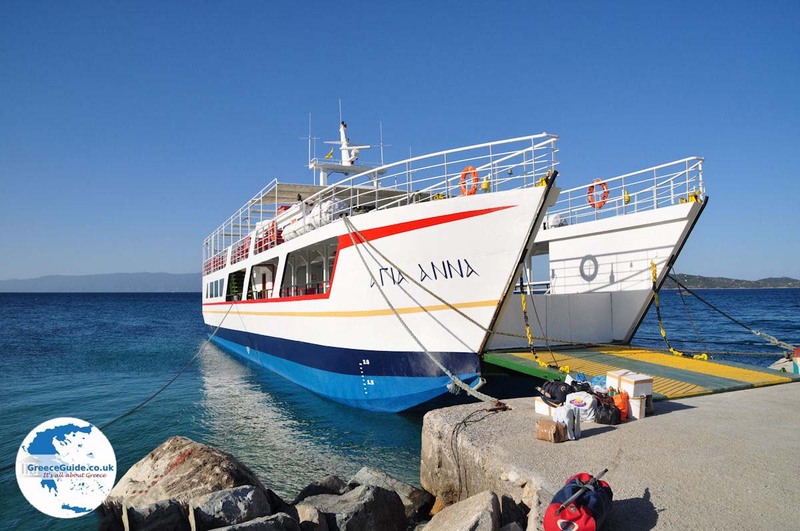 Holy Mountain Athos is accessible by boat from Ouranoupolis or from Ierissos. a) An access permit is required for unaccompanied persons or groups: those are given by the Ministry of Foreign Affairs, Church Administration, Zalokosta 2, Athens and in Northern Greece by the Ministry Administration of political affairs in Thessaloniki, on the Diikitiriou square. b) The access is forbidden for women! c) While overnight visitors are permitted, they have to provided suitable documents, have religious or scientific interest and have to be older than 18 years. This is a monastic state that has existed for more than 1000 years in accordance with the lifestyle and religiosity of the Byzantines. Previously there were 40 monasteries and 4,000 monks, but now there are only 20 monasteries and the number of monks has fallen to 1,700. 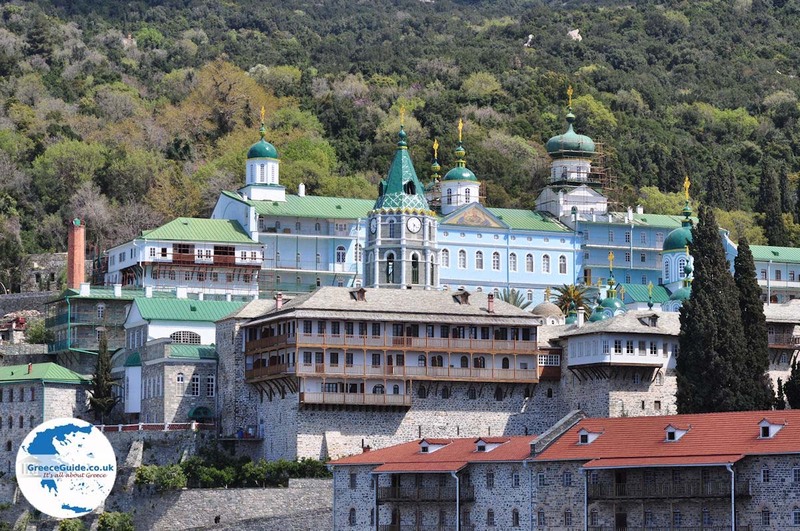 These 20 monasteries on Athos are spread throughout the length of the peninsula, which is approximately 50 km. 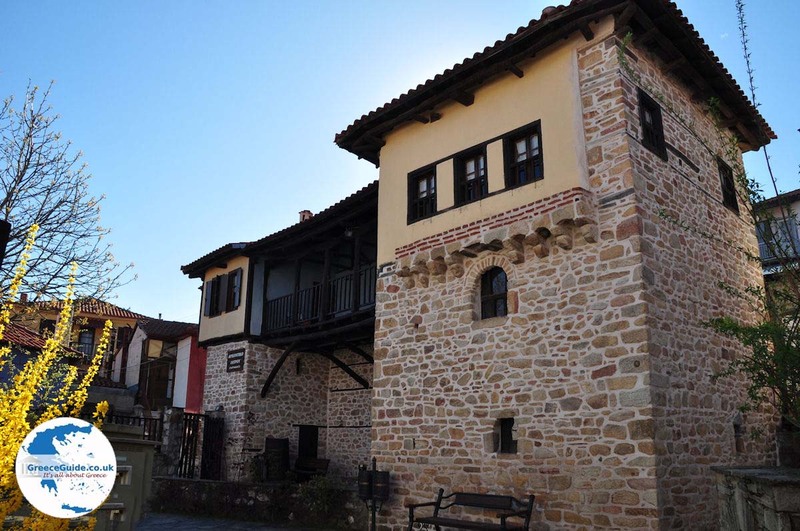 In Athos there is a museum of Byzantine and Post-Byzantine art. 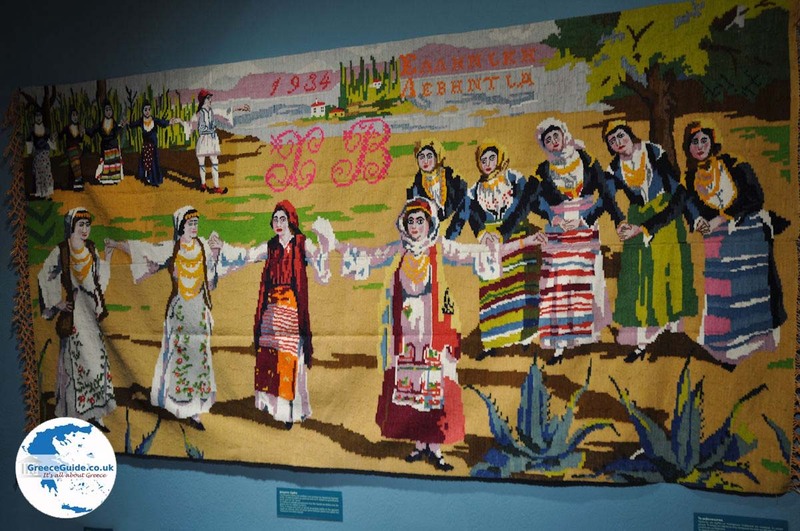 Murals, rich libraries, mosaics and precious little artifacts will be impress travellers. 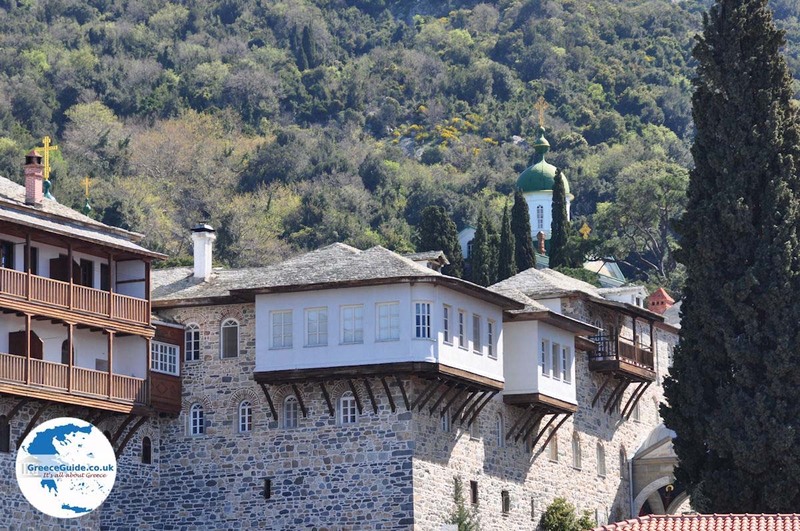 A visit to the Holy Mount Athos, according to the ancient monastic law Avaton, is permitted only for men. To visit "Agion Oros,” in advance of your trip, apply for planning and the residence permit - preferably with an invitation from a monastery. To do this, contact the Athos office in Thessaloniki (tel 0030-2310-252575 Address: Egnatia 109). The telephone number of the office in Ouranoupolis is 0030-23770-71422. 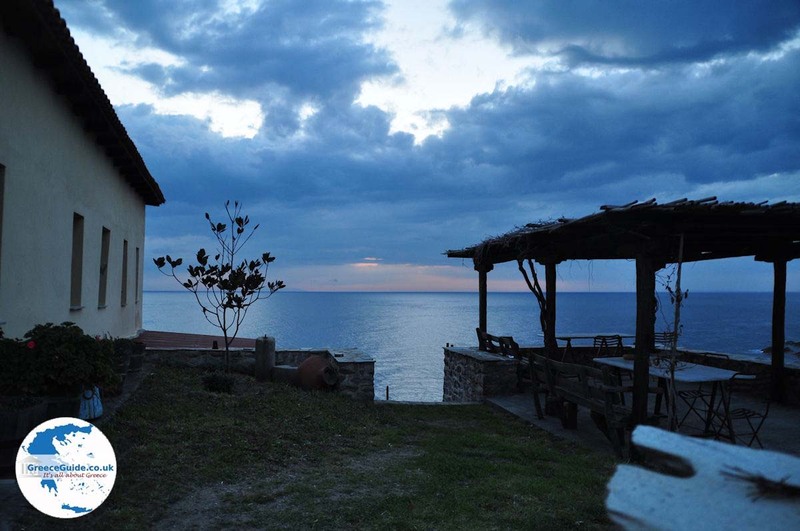 On the day of departure to Athos get the DIAMONITIRION (residence) early in the morning in Ouranoupolis. The boat ticket costs € 10,70 for the outbound journey and another € 10,70 for the return trip. The return ticket should be purchased at the port of Dafni. When you submit the application, be prepared to provide your name, surname, year of birth, passport number. One can stay three nights. To stay longer you will need an additional license that must be applied for in the capital of Karyes. You can stay one night per monastery, so when you stay three days you will have experienced three different monasteries. If you want to spend more than one night in the same monastery, you must apply for an additional license in consultation with the relevant monastery. 100 men are allowed per day, or 90 Greek Orthodox and 10 non-Orthodox. Monasteries have guest rooms where you can stay. 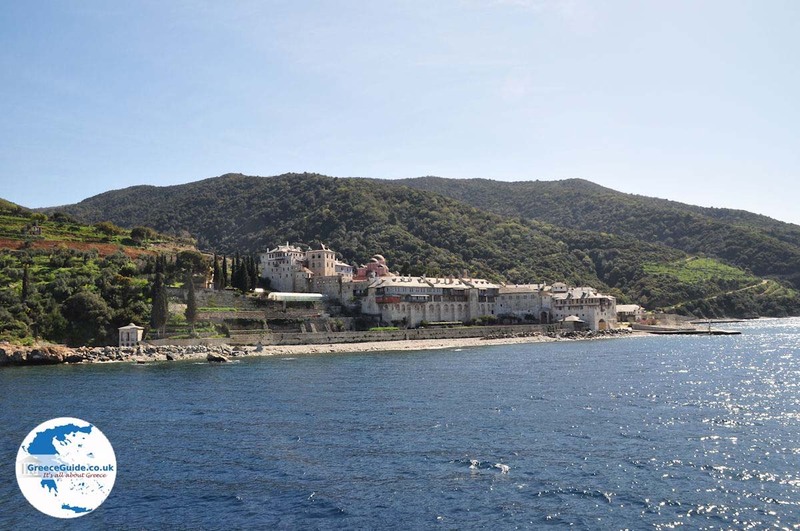 These are the Holy Monasteries of Athos: Stavronikita, Pantokratoros, Vatopediou, Esfigmenou, Chelandriou, Zografou, Xenofontos, Konstamonitou, Dochiariou, Panteleimonos, Xiropotamou, Koutloumousiou, Iviron, Filotheou, Karakallou, Megistis Lavras, Simonos Petras, Grigoriou, Dionysiou, Agiou Pavlou. 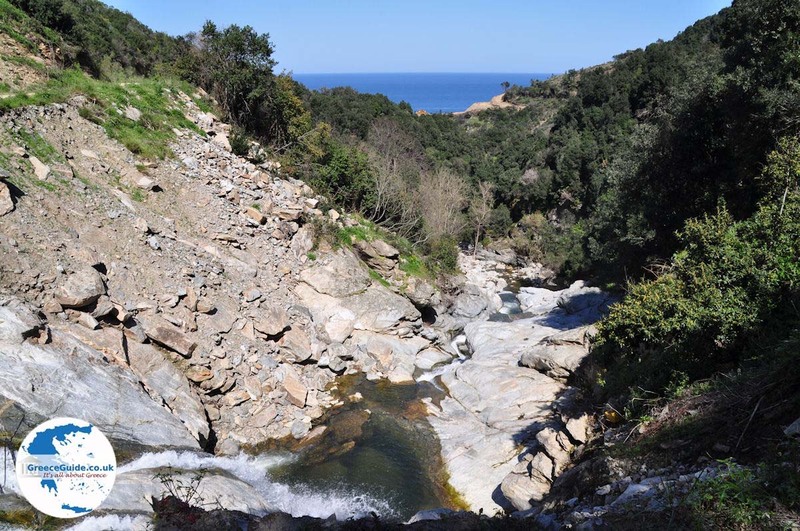 Halkidiki: Where on the map is Mount Athos located?